A feeling of invincibility surrounds me. I know everything is going to be ok. My plans have become giant-sized and here is the best bit – people are listening and organizing around me! Everything seems so achievable and easy, I am motivated, empowered and full of energy and I seem to create the same in the people I meet. Am I on a new drug? Am I in love? Fortunately not the first, and unfortunately not the second. This is actually my state of mind and body a few weeks after completing the Sedona Method 6-Day Intensive Retreat. The 6-day retreat I embarked upon was located in the beautiful and energetic sanctuary of Sedona, Arizona – the city after which the technique was named. Being surrounded by the looming and powerful red mountains of this city is a wonderful way to immerse yourself in the technique and experience the city of Sedona at its best too. Lester Levingston, the founder of The Sedona Technique testified to curing himself of a life threatening illness through using the process he created called ‘Letting Go’. A simple technique of releasing the energy, connection, or charge attached to pretty much everything and everyone that may be negatively affecting your life. By asking a specific set of questions, or creating questions that are individually tuned to the problem or issue you have in mind, you allow your body and mind to release the connection. The technique is now taught by Lester’s predecessor Hale Hoskin, who inherited it directly from Lester himself and Mr. Hoskin has helped to transform thousands of lives around the world, including my own. During the retreat I experienced feelings of lightness and relaxation, a clearing of the mind, and an openness and receptivity that allowed the solution to the problem or issue to reveal itself. The method allows you to find the answer within yourself or to free yourself from the thoughts and obsession for long enough for you to discover the answer was already there. The bonus of attending the retreat is that releasing discomforting energy and thoughts alongside over 100 other people who are all working together under a common structure helps the results to compound. It is a simple technique without a lot of bells and whistles. In some moments you may actually wonder, “Is anything actually happening at all? This is too easy” But I found once I left an incredible peace, openness, and clarity has been created in my mind. ‘Letting Go’ is a phrase I have heard thrown around since my early acting classes, and screamed at shaking contestants on American Idol. But lets be honest it isn’t often that we come across an actual technique to do it. Truth be told most people have never learned how to ‘let go’, and the inability to do so leaves us with so much residual stress in our lives. We suffer for much longer than we really need to from tumultuous relationships and unfulfilled goals and dreams. We liken the ability of ‘Letting Go’ to the difficulty to ‘stop thinking about him! or ‘Stop itching and it wont hurt’ What I needed to know is, EXACTLY HOW DO YOU ‘LET GO’? As guests rise to the stage in Sedona to discuss their issues – I got to experience exactly HOW to focus on an issue and then begin a process of releasing it. I discovered a closer and closer relationship to that Nirvana space where I feel connected to everything and everyone, realizing as a result, and maybe not for the first time, that we are all one. Witnessing guests sharing tails of life long issues and freeing themselves in minutes is moving and thought provoking. And as the course progresses you become acutely aware of the truth in such phrases as ‘I am enough’ ‘I already have everything I need’ and ‘Everything is inside me’. You unearth a new and deeper connection with yourself. What did I let go of during my time at the retreat? I let go of some unhelpful beliefs that had been holding me back. I let go of restrictions I was imposing on myself that would determine how much I am willing to love and how much love and happiness I am willing to receive from others. I let go of a big chunk of guilt, a whole heap of childhood baggage, as well as one or two emotional ties to ex boyfriends! What I did not find it necessary to let go of during the sessions was my own critical thinking. Nor did I feel I had to give myself over to Hale or the technique in a cult-like way. I found the simplicity of the technique allowed me to go home and continue to the process alone or with a partner. 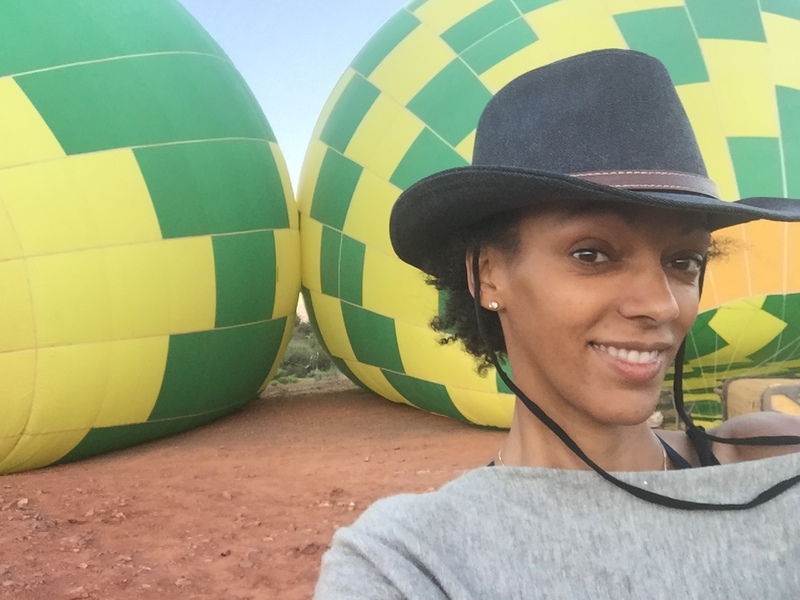 It also motivated to try something I never dared before – I went hot air ballooning! Would I return? Yes! Based on how I am feeling after the experience, I plan on keeping the technique near the top of my emotional toolbox. It is unlike anything else I have found thus far – and believe me I have searched! Will it lead to the enlightenment I am searching for – I have yet to find out. 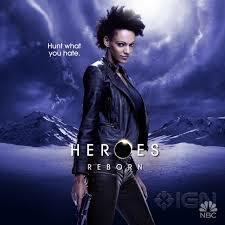 But I can say that I do feel the benefits and I am excited to see where this sense of emotional freedom may lead. The retreat was a wonderful experience and the technique is definitely a piece of the puzzle for me… or maybe I should say a PEACE of the puzzle. 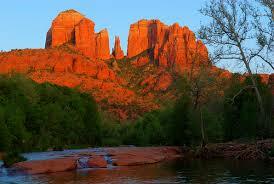 The Sedona Method Retreats are held throughout the world and can be purchased via CD and DVD. Or visit www.sedona.com for more information, books and CDS.